JAKARTA – INDONESIA’S former president Suharto, who ruled with an iron fist for 32 years, has died, a senior police official told reporters on Sunday at the hospital where he was being treated. ‘Indonesia’s second president Haji Muhammad Suharto has passed away at about 13.10,’ Major Dicky Sondani told reporters. “We are puzzled by Prof Juwono’s statement that Singapore wants to decide by itself the military training arrangements in Indonesia. Indonesia and Singapore had negotiated the Extradition Treaty (ET), and the Defence Cooperation Agreement (DCA) and four associated Implementing Arrangements (IAs) as one package. This package of agreements was agreed to and completed at a meeting of their Ministers of Foreign Affairs and Defence, and their armed forces chiefs on 23 April 2007. It was on this basis that the ET, DCA and Military Training Area IA were signed on 27 April 2007 in Bali in the presence of President Susilo Bambang Yudhoyono and Prime Minister Lee Hsien Loong. At Indonesia’s request, however, the date for the signing of the three remaining IAs was deferred to 7 May 2007, purely for administrative and logistical reasons. The TNI explained that it could not get all three Indonesian Service Chiefs to be present on 27 April. Unfortunately, the signing on 7 May 2007 did not materialise, because just before it was due to take place Indonesia requested changes to the IAs which Singapore could not agree to. The package of agreements was settled after comprehensive negotiations between the relevant agencies on both sides, including the defence ministries and armed forces of Indonesia and Singapore. Since the time negotiations commenced in October 2005, both sides had ample opportunity to raise any matter of concern for discussion, prior to the conclusion of the carefully balanced set of agreements on 23 April 2007. Indonesia did not raise these issues then. But after the conclusion of the package, Indonesia asked for substantive changes and new conditions to what had already been agreed upon in the DCA and IAs, as reflected in Prof Juwono’s remarks. This is a worrying escalation of “megaphone diplomacy”, whereby Singapore and Indonesia are now negotiating through the mass media, instead of through more discreet diplomatic channels. 1. Singapore made an earlier than expected announcement that it was ready to sign the ET and DCA, and Indonesia got rushed into signing even though they didn’t want to sign the DCA, because there is much domestic expectation that the ET should be signed asap. 2. Now we learn that the Indons tried to play punk by claiming their military chiefs couldn’t make it to the 27 April signing. That is absolute rubbish! You mean the president, defence minister and foreign minister can make it, but the generals can’t? I mean, how big shot can a general possibly be? So why can’t the defence minister sign on their behalf. They must think the Singapore officials were stupid not to call their bluff in the first place. Singapore probably knew it, but just swallowed it. 3. Juwono alleged that Indonesia “proposed that training arrangements be determined jointly by the TNI (Indonesian military) and Singapore. Singapore rejected it, saying they should decide for themselves, despite the fact that the exercises will be conducted on our territory” — that is ludicrous! I know Singapore officials are often pushy and arrogant, but they would never insist on something outrageous like conducting military training in another country without the host country’s 100% concurrence. 4. After 27 April, Indonesia probably proposed some vague clause that could effectively invalidate the whole DCA because they can just use it to delay the DCA’s execution indefinitely. Naturally Singapore rejected the change. Also there’s a principle to stick to. If they agreed to it before, why should we allow them to suka suka make a change like that? 5. “Puzzled” in Singapore diplomatic speak means more like “the fella is trying to shift goal posts and go back on what we previously agreed on”. JIMBARAN – A UNIQUE conference aiming to promote religious tolerance and affirming the reality of the Jewish Holocaust opened on Tuesday in Indonesia, the world’s most populous Muslim nation. The conference on the resort island of Bali attended by rabbis, Holocaust witnesses and Muslim leaders is styling itself as an ‘anti-conference of Teheran”, where a December 2006 meet cast doubt on the genocide of Jews during World War II, triggering worldwide condemnation. Chairing the discreetly-organised conference is former Indonesian president Abdurrahman Wahid, known as Gus Dur, a moderate Islamic leader known to take courageous positions in Indonesia, where Muslims are known for their tolerance but small hardline groups still hold considerable political sway. ‘Although I am a good friend of Mahmud Ahmadinejad, I have to say he is wrong,’ Gus Dur told the conference, referring to the Iranian president’s dismissal of the Holocaust as a myth. ‘He falsified history … I believe the Holocaust happened,’ he said. The former president has been a member of the Tel Aviv-based Shimon Peres Peace Institute since 1984 and has drawn fire for his support for direct trade relations between Indonesia and Israel. I think it’s great that a conference like this is taking place in the world largest Muslim nation. I had no idea that Gus Dur had been a member of a Jewish peace institute for the last 23 years. I wonder if the current Indonesian establishment had anything to do with this conference, which is chaired by Gus Dur. Whatever it is, if the conference goes ahead smoothly, it will definitely enhance Indonesia’s reputation as a moderate Muslim-majority country, a reputation that has taken a severe beating since the Bali bombings and 9/11. Let’s hope that the Islamist extremists in Indonesia don’t start calling up hotels in Bali and threatening guests, and demonstrating and shouting “Allahu Akbar” in front of the conference venue. CNN is bound to jump on that kind of nonsense and broadcast it to the world. In the end, if the conference gets cancelled because of security reasons, it will do more harm to Indonesia and Islam than if it was never planned in the first place. S’pore-Indon treaties: Is the light at the end of the tunnel a train? I’m back after a one-and-a-half month absence. This is an article which I wrote for The Online Citizen. Indonesia has been seeking an Extradition Treaty (ET) with Singapore for the past 34 years. However, since the 1997-98 Asian Financial Crisis this issue has risen to the top of Indonesia’s foreign policy agenda with Singapore. During the crisis, it is believed that many corrupt Indonesian businessmen absconded to Singapore with millions of dollars stolen from banks. has asked for “variations” to the agreement. 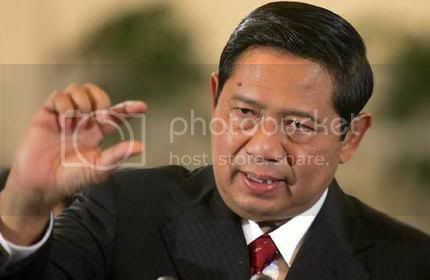 During Indonesian President Susilo Bambang Yudhoyono’s state visit to Singapore in February 2005, Prime Minister Lee Hsien Loong made a surprise announcement that Singapore was “committed to having an extradition treaty with Indonesia“. The negotiations on the ET kicked off in March 2005. Eight months later, in October 2005, PM Lee got President Yudhoyono to agree to a quid pro quo: a new Defence Cooperation Agreement (DCA) would be negotiated and signed in tandem with the ET. This DCA would, inter alia, provide the SAF with much needed training areas in Indonesia and provide for more joint military exercises between the SAF and the Indonesian Armed Forces (TNI). In January this year, unhappy with what they perceived to be foot-dragging on the ET by Singapore, Indonesia slapped a ban on all sand (and apparently some granite) exports to Singapore, a move which threatened to cripple Singapore’s struggling construction industry. Indonesia’s official reason for the ban was that of “resource conservation”, but an Indonesian foreign ministry official let the cat out of the bag when he said publicly that the move was aimed at pressuring Singapore to sign the ET. By then most of the details of the ET had already been settled. What remained was to negotiate the details of the DCA, which is the package that Singapore wants in exchange for the ET. Eventually, on 27 April, the two treaties were signed by the respective foreign and defence ministers in Bali, amidst much fanfare and optimism that a bone of contention in our relations was finally removed — or so we thought. However, there are still several hurdles that need to be crossed before this issue can be considered settled. Firstly, there are still some supplementary agreements which are part of the DCA which have not been signed. The original deadline in early May for signing these additional documents has lapsed. Singapore’s Ministry of Defence (MINDEF) reported that there were some “unexpected difficulties” because Indonesia has asked for “variations” to the agreement. According to Indonesia’s Antara News Agency, the legalisation of the implementation arrangements of the DCA has been “postponed indefinitely”. Secondly, the two agreements need to be ratified by the Indonesian House of Representatives (the DPR) before they can be implemented. While lawmakers there have indicated they are ready to sign the ET, senior MPs from many of the major parties have strongly asserted that they will not ratify the DCA, as they claim it would “undermine Indonesia’s sovereignty”. This display of nationalistic fervour is to be expected from MPs who feel a need to pander to their constituents. Indonesian Defence Minister Juwono Sudarsono already told his Golkar Party members on 21 May, “Do not worry. Trust me as the commander of the TNI with regard to…the protection of national interests and our sovereignty.” He will have to repeat this several times more when he defends his government’s decision in front of the DPR on 28 May. Thirdly, even if the ET comes into effect and the Indonesian attorney-general hands over his list of suspects for extradition, Singapore is not going to be able to simply arrest them and hand them over to the Indonesians. There are caveats in the ET that allow Singapore to refuse extradition if it suspects that the charges are politically or racially motivated. Stringent legal procedures and judicial processes will have to be followed when an extradition request is made, and Indonesia’s police and judicial processes will be subject to review by Singaporean judges and vice versa. Furthermore, it has been 10 years since the 1997 Asian Financial Crisis, and it is likely that any stolen money brought into Singapore has already been laundered, making it very difficult to pinpoint its origin. In other cases, the suspect might have changed nationalities or left Singapore years ago. Thus, it could well turn out that none of the people on Indonesia’s wanted list will ever get extradited. Senior Minister of State for Foreign Affairs Zainul Abidin Rasheed told Parliament on 21 May that both agreements will have to come into force together, as he tried to allay MPs’ concerns that the Government was rushed into signing the ET before the DCA was finalised. In Singapore, the Cabinet (not Parliament) has the authority to ratify treaties. An option open for Singapore now would be for the Cabinet to refuse to ratify the ET until the Indonesian DPR ratifies the DCA. Although the signing of the ET appears on the surface to have paved the way for warmer bilateral relations between Singapore and Indonesia, we are no where near the end of the tunnel. In fact, it is entirely possible that even more problems will surface once the ET comes into force, leading to more frustration among Indonesians who think the ET is the magical elixir that will solve their endemic corruption problems. Author Gerald GiamPosted on 29 May 2007 Categories foreign affairs, IndonesiaLeave a comment on S’pore-Indon treaties: Is the light at the end of the tunnel a train?